We hold two types of meetings : Pizza Limes and Tech Meetings. A Pizza Lime is the name given to our monthly discussion forum which is usually held at Joe’s Pizza, St. Augustine on the second Wednesday of the month. The tech meeting is when we have computers on site to demonstrate a particular type of hardware or software. At this meeting at ENCO, Mr. Kevin Suares, a Systems Administrator at Central Connecticut State University in the United States discussed his experiences in dealing with two alleged data breaches at the University from technical, procedural and policy viewpoints. Data breach : commercial bank credit card records compromised? Dominica finally gets an IXP; still none for TT? Gaming: Sims #epicfail – failed online authentication. Held in collaboration with the University of the West Indies, St Augustine (UWI) Faculty of Engineering from 2-4pm, Anil Ramnanan demonstrated the Raspberry Pi , a credit-card sized computer that plugs into your TV and a keyboard. At this meeting, Tracy Hackshaw demonstrated the Google Chromecast, billed as the easiest way to enjoy online video and music on your TV and the Google Chromebook Pixel , Google’s high-end laptop running Chrome OS. Held at the Queen’s Park Savannah, we (thanks to Anil) demoed the Parrot AR 2.0, a wi-fi enabled, Linux-powered flying Quadricopter and flew the Quadricopter using a phone and tablet. Held at the Asian Buffet Restaurant, Trincity Mall, we chatted Ace Suares, a Free and Open Source Advocate from Curaçao and who was travelling en route from giving workshops on open source at the University of Georgetown. We had the XO laptop and XO Tablet on hand. According to an article in Newsday, the Ministry of National Security of Trinidad and Tobago will be launching “Virtual Police Officer (VIPO) initiative. “Newsday understands that under the programme, a member of the public can go to a website and register as a “police officer” after they have witnessed a crime, and have information which can solve a crime. An analyst will then pass on this information to the relevant police agencies and the informant will be given the opportunity to interact with the investigator. Wednesday December 18 2013 from 6pm to 9pm for a buffet dinner at the Shanghai Experience, MovieTowne, Port of Spain. Anyone interested in computing and ICT are welcome to attend. The Buffet Dinner at the Shanghai Experience costs $199 TT. Please RSVP to [email protected] We look forward to seeing you. The Trinidad and Tobago Computer Society (TTCS) will be having a lime on Saturday December 14, 2013 from 4pm to 6pm at the Asian Buffet Restaurant, Trincity Mall. At this meeting, we will be chatting with Ace Suares, a Free and Open Source Advocate from Curaçao and who is travelling en route from giving workshops on open source at the University of Georgetown. Enable NTFS write on Mac OS X Mavericks for free and geeky way – Learn-a-holic Geek Notes. 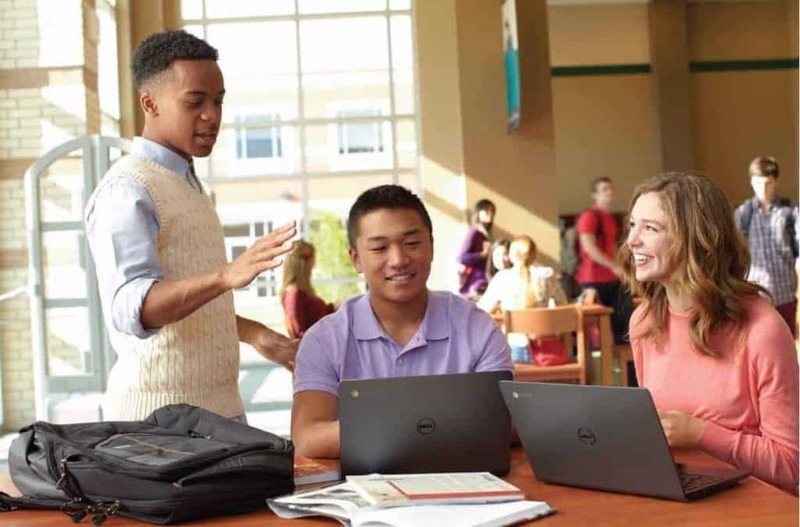 Dell has announced new Chromebooks, laptops running Google OS. Read Dell’s press release ; the price of the 11″ laptop is expected to sell below $300 US and will be available in the 1Q 2014.
in addition to promoting its Scroogled website at http://www.scroogled.com/chromebook. According to Amazon.com, the best selling laptop (for several weeks now) is the Samsung Chromebook, followed by the Acer C720 Chromebook. Google has announced a new version of Google Sheets, a browser based spreadsheet and one of the Google Drive Office applications, available to any Google user. offline access with Google Chrome. With Google Chrome, you can edit spreadsheets offline and when you have internet connectivity, Google will synchronize the changes to the online version. I have fond memories of playing Doom for many hours. Doom was uploaded by id Software to a FTP server and BBS on December 10, 1993. It wasn’t the first person shooter (id has created and launched Wolfenstein 3D earlier), but Doom took it up a notch with great graphics. “Doom’s primary distinguishing feature at the time of its release was its relatively realistic 3D graphics. The advance from id Software’s previous game Wolfenstein 3D was enabled by several new features in the Doom engine, including height differences (all rooms in Wolfenstein 3D have the same height), non-perpendicular walls (all walls in Wolfenstein 3D run along a rectangular grid), full texture mapping of all surfaces (in Wolfenstein 3D, floors and ceilings are flat colors) and varying light levels and custom palettes (all areas in Wolfenstein 3D are fully lit at the same brightness). The latter contributed to Doom’s visual authenticity, atmosphere and gameplay, as the use of darkness to frighten or confuse the player was nearly unheard of in games released prior to Doom; palette modifications were used to enhance effects such as berserk. The sound effects and music was also great for PCs with soundcards for their PCs (mine was a Soundblaster Pro) and really contributed to the atmosphere. As a shareware game, id Software made the first 10 levels of the game free, allowing the game to be downloaded and shared on BBSes (the TTCS ‘s own BBS, Infoline also had the version). You then had to pay for the other 20 levels, which id would mail to you on 3.5″ floppies once payment was received. Also amazing at the time, was the multiplayer component, I used a serial cable between two PCs at the time and had great fun. “Microsoft Trinidad and Tobago has signed a memorandum of understanding (MOU) with the Ministry of Tertiary Education and Skills Training (MTEST). The MOU is expected to enhance MTEST’s customer service delivery through the use of information and communication technology (ICT).